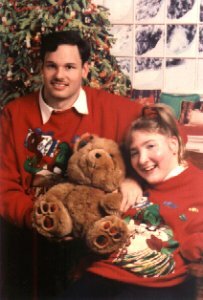 Mike and Mindi met June 25th, 1995 at the Ellensburg Conference. Mindi sent a friend into the mens bathroom to fetch Mike because she thought he was going to leave and she wanted to dance with him. They fell instantly in love. They did many things together even though they lived an hour and a half apart. One birthday of Mindi's was celebrated at the Space Needle. Mindi and Mike spent several New years eve's together.They liked to party. I learned one thing. (so did Mindi) Never pour champagne down a feeding tube just cause she insists. You may not have to taste it ...but you still throw it up! Mindi and Mike had five years together. Ironically they met at the Ellensburg Conference and that was also the last place they saw each other before she died.